Fish, Feathers, Foam, Fur, Plastic and Steel. Dreams, Goals, Desires, Obsession and Hope. Entertainment from the water and tying bench with a little bit of Red Sox thrown in. It's hard to believe we've been doing this fly swap for 6 years now. I've posted about the 1st, 2nd and 3rd FlyFishingNewEngland.net fly swaps. With a record turnout and the high quality flies submitted, this 6th annual event warranted a post from the "occasional blogger". This year was the biggest with 15 tiers and 18 total in attendance at our host's (Chris M.) house. We also had friends, wives and significant others join us for the festivities. Several tiers submitted multiple flies (Matt B. submitted 5!) so we had a total of 23 flies for each tier to take home. I'm shocked, yes shocked, to find stripers in January! First fish of 2017 and it seemed like the "fish on every cast" action from November continued. The expectations where very low heading out, but I fished with a very "fishy" guy who figured it out and got us all into some. 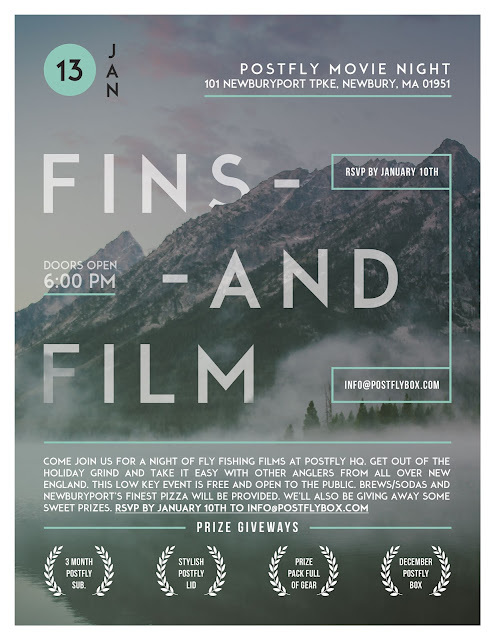 The good folks at Postfly are hosting a free Fins & Film Event on 13 January 2017. It will be at their HQ (101 Newburyport Tpke., Newbury, MA 01951). If you are in the area and want to attend, RSVP to info@postflybox.com by 10 January. Hope to see you there! I was a bit surprised to have a fellow angling blogger inquire about a Question and Answer interview for the Dock Talk 365 Blog. What could a "weekend warrior" fly angler say or offer that hasn't been discussed a million times before? I took a look at Chris' blog, read some of the other interviews and thought it would be fun to give my perspective with some background of why I fish and love it so much. This sentence from the "About Us" helped seal the deal, "Our focus is on the recreational or local tournament anglers who love to spend time on the water and are willing to share their valuable knowledge of their local waters and techniques as well as their overall perspectives on our sport." I'll open this long overdue post with the first fish of 2016. A sweet native Massachusetts brookie from a stream with no name. We are now three months into 2016, but I'd like to look back on a personally successful 2015 fly fishing New England waters. I use the phrase "occasional blogger" in my Instagram profile for a reason. It's hard to provide relevant content to the blog on a regular basis. It's been 11 months since the last post and I hope you'll enjoy this one. To some, the 2014-2015 New England winter was brutal. For me, it was just another beautiful, snow filled wonderland that is rapidly changing into a glorious spring. This is the reason I love New England. Seasonal changes in New England are rapid and intense. Deep snow is morphed into blooming forsythia and the fish in both fresh and salt put on the feed bags. Nine years ago, my son Matt, bought me a fly rod for Christmas. Six years ago, Matt convinced me to float a Western Massachusetts river with Harrison Anglers. Before that float, I had caught a few bass and bluegills on the fly, but salmonids continued to elude me. Tom Harrison, our guide on that float, put us on fish and I caught my first trout that day on an olive woolly bugger. I didn't know what I was doing then and probably forgot to tip (sorry Tom), but it was a memorable day. Thanks to Tom's patience and guidance, all aspects of my fly fishing game improved and I started having success with catching trout. We've experienced a record snowfall this winter and the rivers and streams in New England will benefit. After two months of brutal cold temperatures and multiple 1+ foot snow storms, warmer temps have started the process of melting the ice on the streams and the snow in the woods. I took advantage of the warmer air temps and went searching for open water this past week on the local trout streams. I came across an interesting feed on Instagram about a month ago called The Meadows Project. Exploring a bit deeper, I discovered the group is based in Southern Vermont and are putting together some stunning video about cold water river conservation and the fly fishing history of the region. Here's an excerpt from their website. "THE MEADOWS PROJECT is a pursuit for the protection of Southern Vermont's cold water fisheries and the native brook trout that reside in them. Originally, a collaboration of art, the project has evolved into not only a conservation effort but also an internet based television program detailing three trout anglers journey through the fishing season. the series covers fishing techniques, quirky anecdotes, and up-to-date news about all of the project's conservation and preservation efforts. 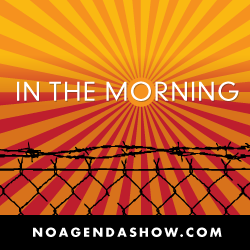 Tune into Vimeo to watch and Instagram for day to day news." The tradition continues. After finding Ryan's board three years ago, signing up for the 1st FFNE Fly Swap and meeting a bunch of great local fly anglers, I look forward to this winter event every year. The highlight of the swap this year came from our host, Matt, who recently has ventured in to the world of tying classic salmon flies. Matt consistently produces killer, big meaty, pike and bass flies, but wanted to explore the deep and beautiful realm of the salmon fly. As one of the most creative tiers I know, Matt knocked out 11 unique patterns for each swap participant and himself based on stories shared on the FlyFishingNewEngland.net board. When is the Best Time to Fish for Trout? Oops, how did this get here? 3 Years Later... still frying! March browns bringing up big browns!! Friday, April 26 at Jim's Sports Center in Clearfield, PA! Tying flies, Teaching Fish, Learning How. How to properly "match the hatch"
The *New* Website is Up! Not a fishing trip...but still catching fish? Copyright 2019 Dean Wormell. Powered by Blogger.